Colours: Light Blue/Navy, White/Navy/Light Blue, Black/Red, Black/White, Red/White, Maroon/White, Navy/White, Navy/Gold, Royal/White, White/Navy/Red, White/Navy, Gold/Bottle/White. Colours: Light Blue/Navy, White/Navy/Light Blue, Black/Red, Black/White, Black/Gold, Red/White, Forest/Gold, Maroon/White, Maroon/Gold, Navy/Red, Navy/White, Navy/Gold, White/Navy/Red, White/Navy, Gold/Bottle/White, White/Black/Red. 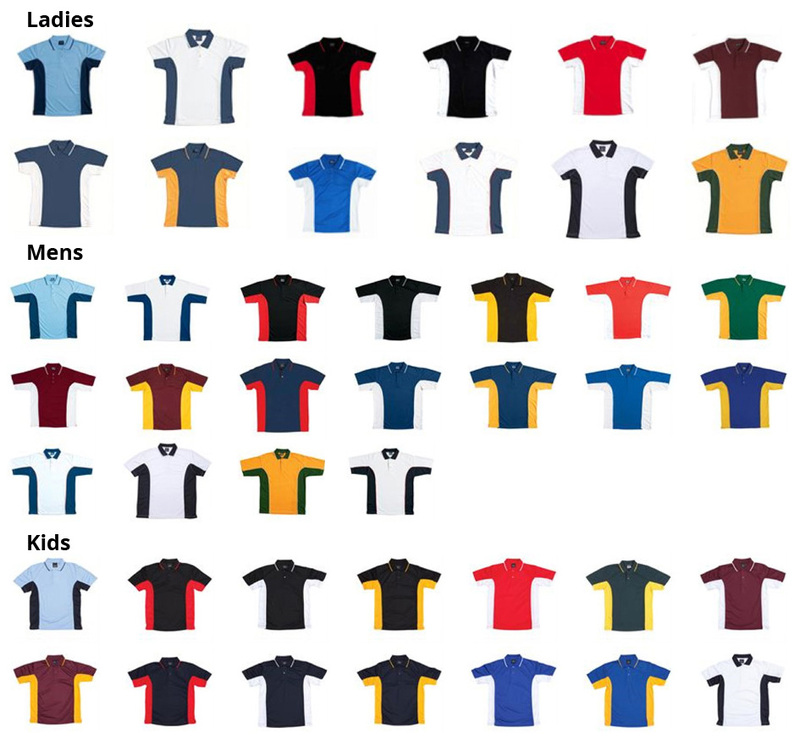 Colours: Light Blue/Navy, Black/Red, Black/White, Black/Gold, Red/White, Forest/Gold, Maroon/White, Maroon/Gold, Navy/Red, Navy/White, Navy/Gold, Royal/White, Royal/Gold, White/Navy.